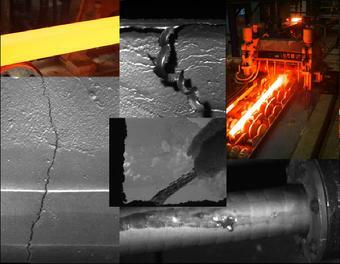 PyroCamMV is an actively illuminated, xenon strobe based system which produces high quality images in processes such as Continuous Casting, Molten metals, Ceramics, and Glass. This system can also be used to view high speed processes, eliminating the motion induced blur of many traditional systems. PyroCamMV can be used in conjunction with our machine vision software for surface inspection, to monitor your high temperature process, detect deformations and measure size. Please scroll down to see sample videos taken using the PyroCamMV system.